It’s always hard to balance the needs of all the family when you are on a city break. My husband and I are quite happy getting lost and walking for miles seeing what we discover. My 2 young sons aren’t as happy doing this though. My youngest son is quite a slow walker and gets tired quite quickly, which results in lots of moaning and whinging. 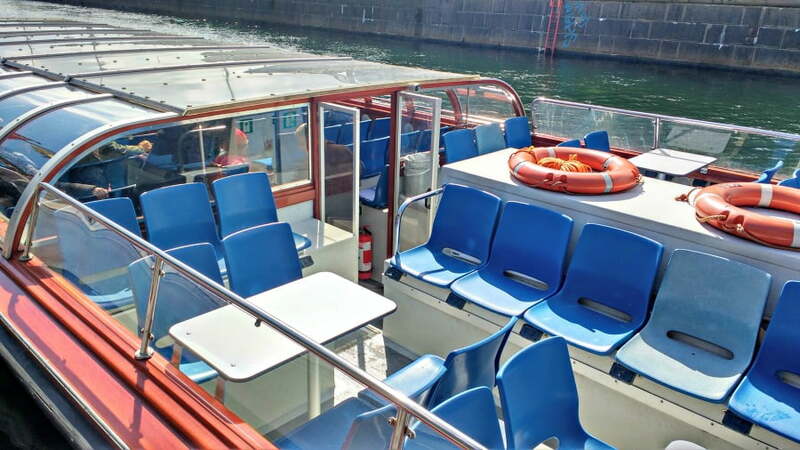 However, one of the things which is guaranteed to keep us all happy is a boat tour. 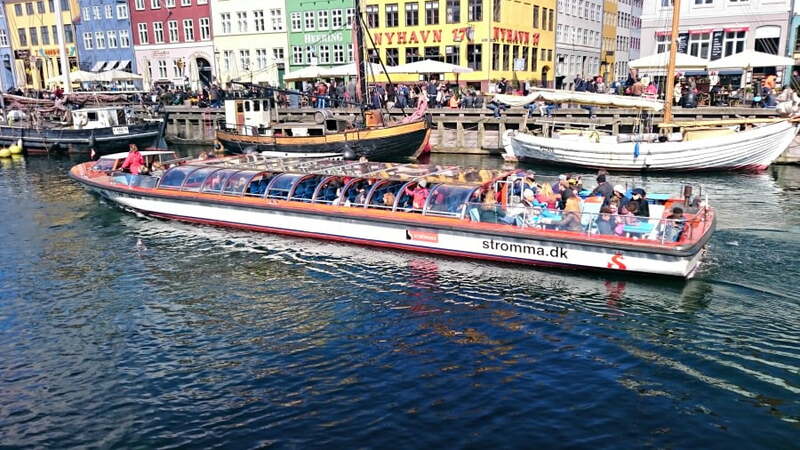 One of the best things we did when we were in Copenhagen was a Stromma Canal boat tour. My transport loving boys love boats, and are quite happy chilling out on a boat tour while peering out of the window. Conversely, my husband and I get to learn about the city we are in so we are all happy. 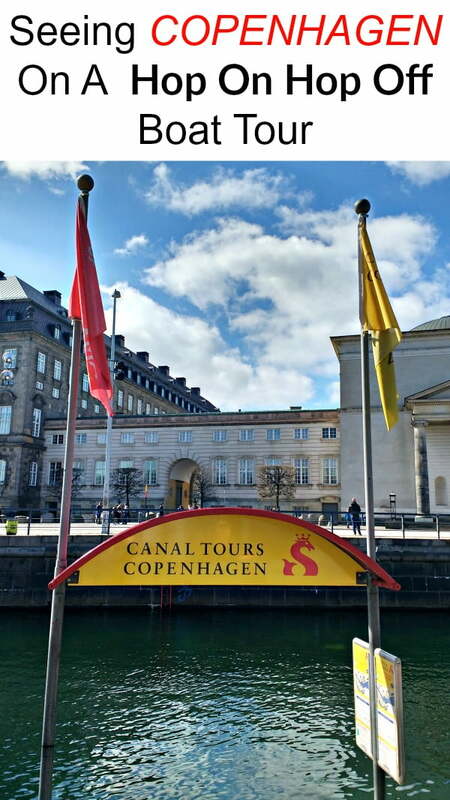 The Stromma Hop on and Hop off boat tour is valid for 48 hours and lets you discover Copenhagen’s canals and harbours from the comfort of the boat. 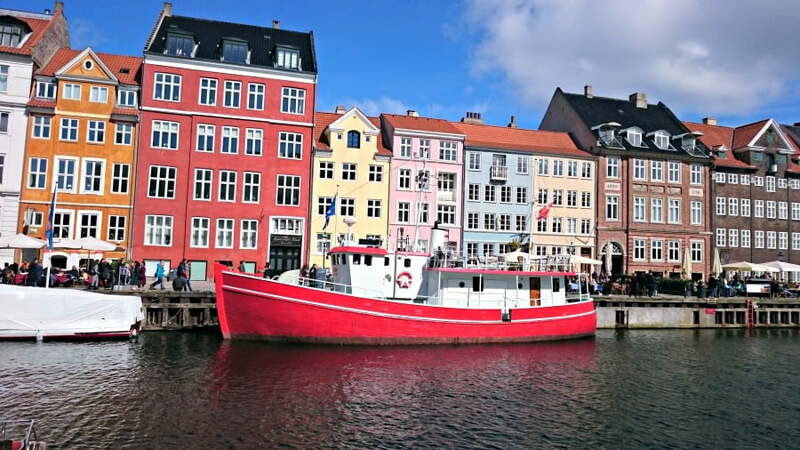 The tour comes with an audio guide and takes to you to all the main attractions such as the Nyhavn Harbour, the Amalienborg Palace (where the royal family lives), the Little Mermaid and the National Museum of Denmark. The boat slows down to allow you to take photos of the main attractions. 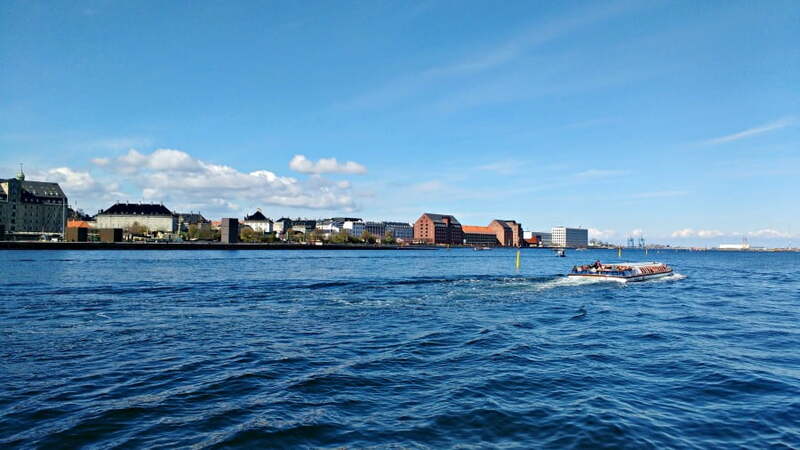 The hop on hop off bus tour was a great opportunity to sit back, relax and find out more about the history of Copenhagen from the comfort of the boat. The boat had a low ceiling to make sure it fit through the low bridges on the canal. Our guide kept telling us to sit down when we got to a bridge to make sure we didn’t hit our heads! 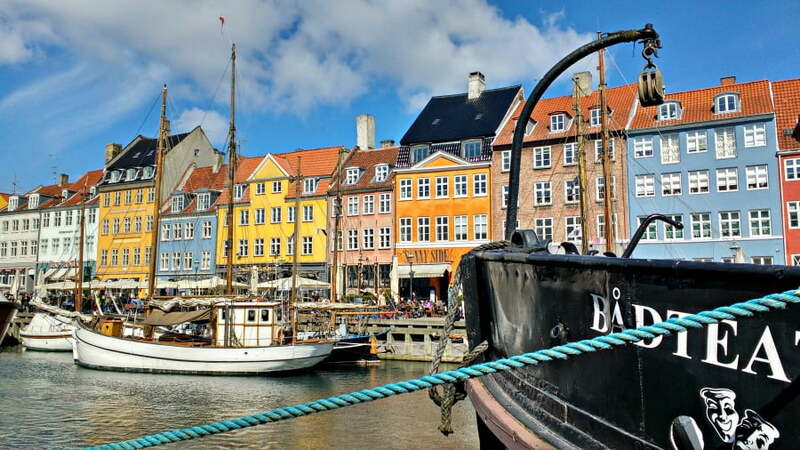 We hopped on Gammel Strand, and hopped off again about 10 minutes later when we got to Nyhavn Harbour. This fascinating area is characterised by the brightly painted buildings along the side of the harbour. 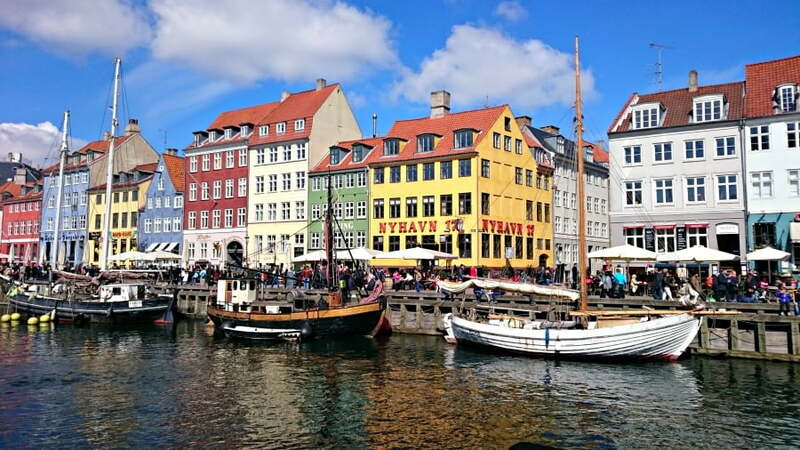 Nyhavn used to be a busy commercial port with sailors, pubs and ‘ladies of the night’, but now it is a bustling area with swanky restaurants and pubs. All the restaurants and pubs have big comfy rugs on the chairs so people don’t get cold when they are relaxing with their drinks and food. 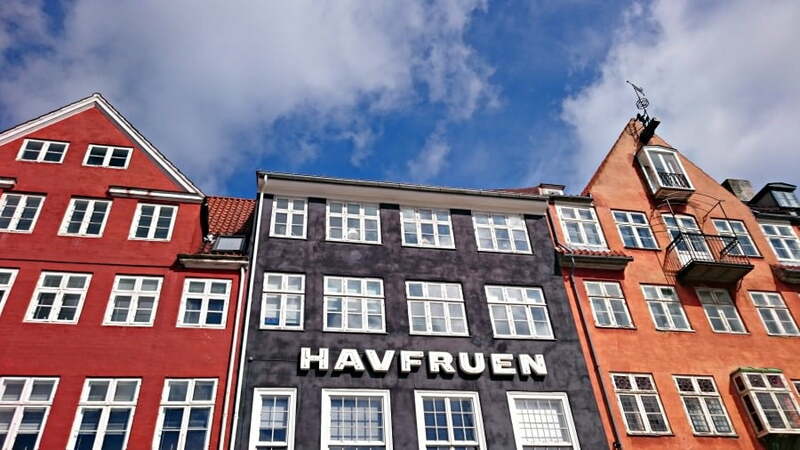 A few minutes walk from Nyhavn is Paper Island, which is the home to the not to be missed Copenhagen Street Food. This is Copenhagen’s first street food market and is packed with food stalls selling amazing food from all around the world. 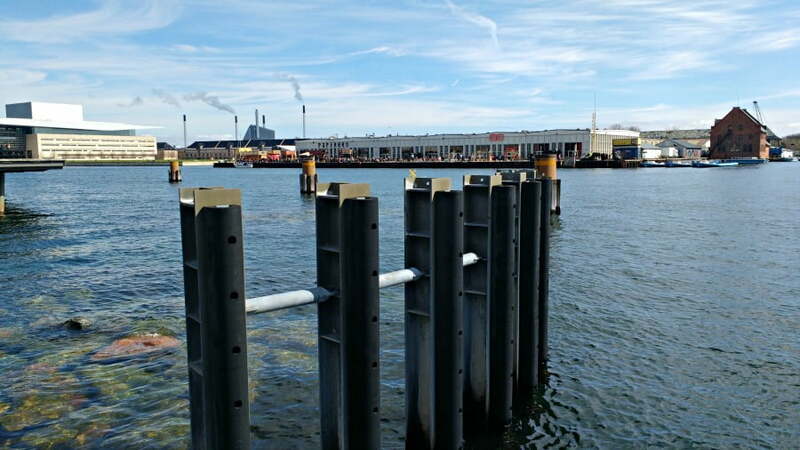 We grabbed a couple of plates of Mediterranean food and took it outside to eat on the waterfront. Then we hopped back on the boat for the rest of tour. Here are some of my photos from the tour. Tickets are valid for 48 hours and cost 95 DKK (£10) for adults and 45 DKK (£5) for children aged 6- 15. Children under 6 are free. There are no toilets on board so make sure you go before you get on! There are public toilets near the ticket office. 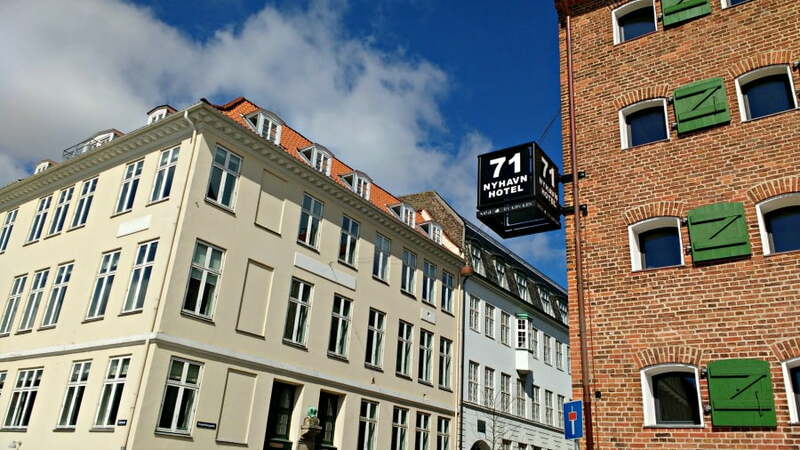 Tickets can be booked online or from the Ticket Offices at Gammel Strand or Nyhavn. There is WIFI on board. The boats are covered and heated in Winter. We spent a week in Denmark starting off with 3 days in Copenhagen visiting the Tivoli Gardens before driving over to Jutland. In Jutland we spent 3 days at Lalandia (Denmark’s version of Center Parcs) and visited Legoland Billund. 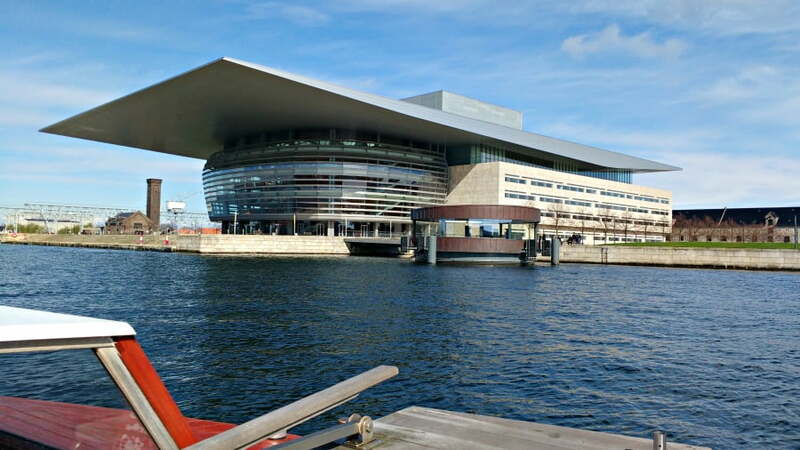 Denmark can be quite expensive, so this article explains how to do Denmark on a budget.